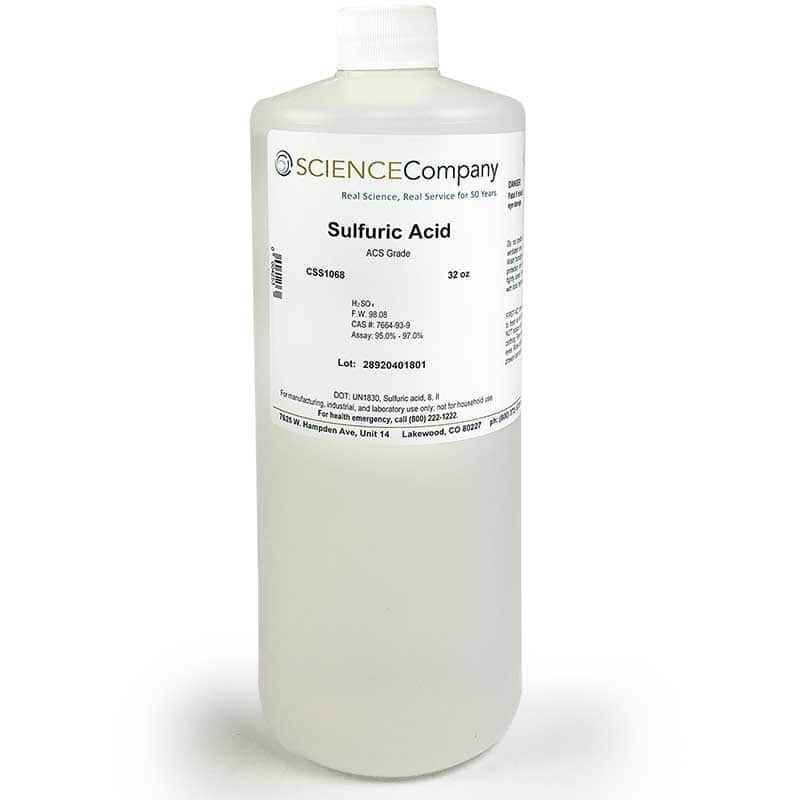 Reagent Grade Sulfuric Acid H2SO4, Concentrated, 1L for sale. Buy from The Science Company. Concentrated sulfuric acid (95-98%) is very reactive and dissolves most metals. Therefore, it is used in a variety of ways in refining precious metals. It does not dissolve gold but is great at dissolving metals like copper, silver, and iron so it may be useful in certain types of gold refining processes. Sulfuric acid is is also a popular acid used in gold electroplating processes. 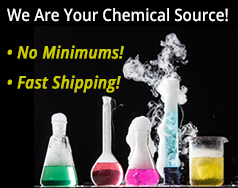 Sulfuric Acid is a strongly corrosive, dense, oily liquid and is colorless to dark brown, depending on purity. Miscible with water. It is a strong irritant to tissue. 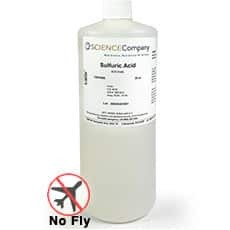 This 32 ounce size Concentrated Sulfuric Acid ships to destinations within the 48 contiguous US states and Canada using Standard Ground by FedEx or UPS • No air deliveries allowed • Customers in Canada should expect additional duties, taxes, and customs clearance service fees due upon delivery.